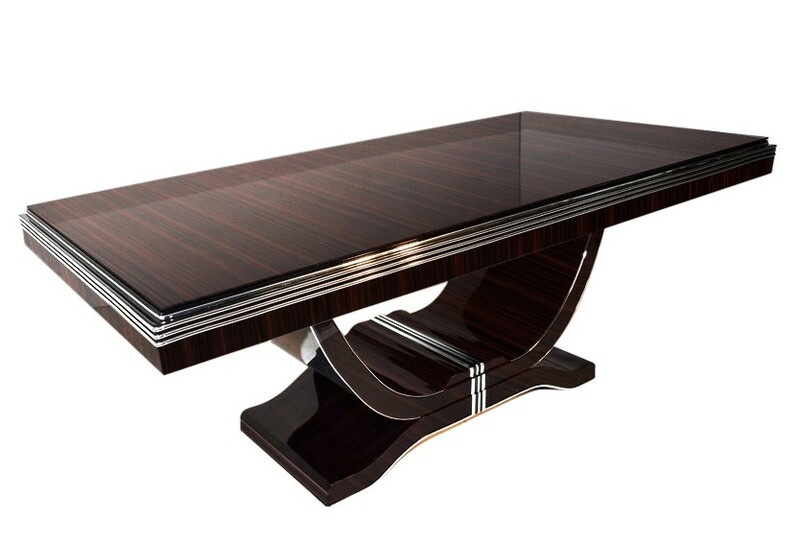 Elegant Art Deco ding table with a beautiful macassar veneer and luxurious chrome bars. 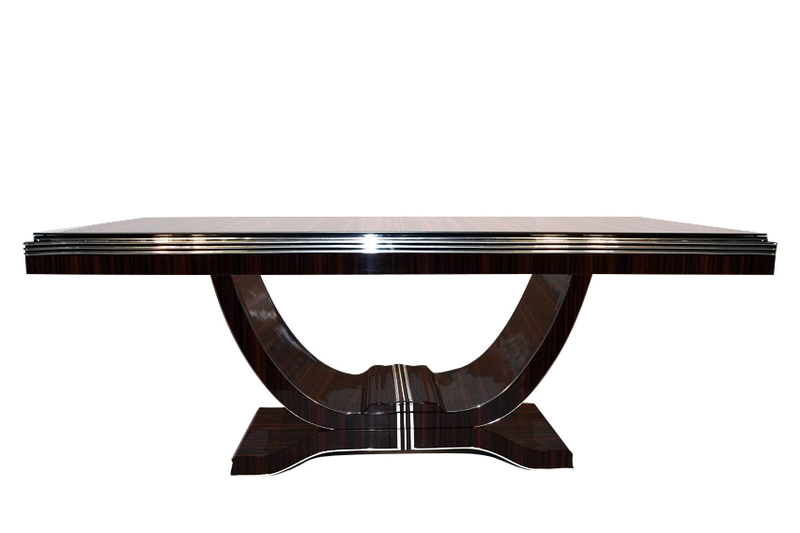 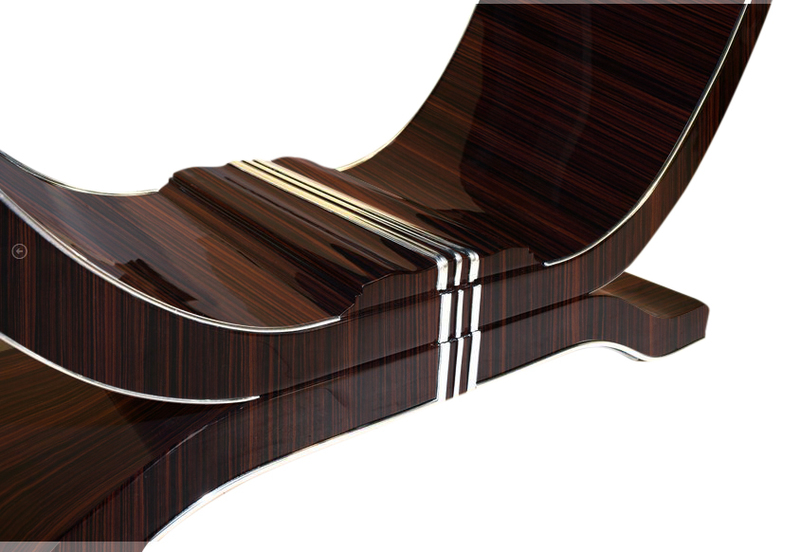 This single piece convinces with its wonderfuly carved foot and the execeptional high gloss finish. 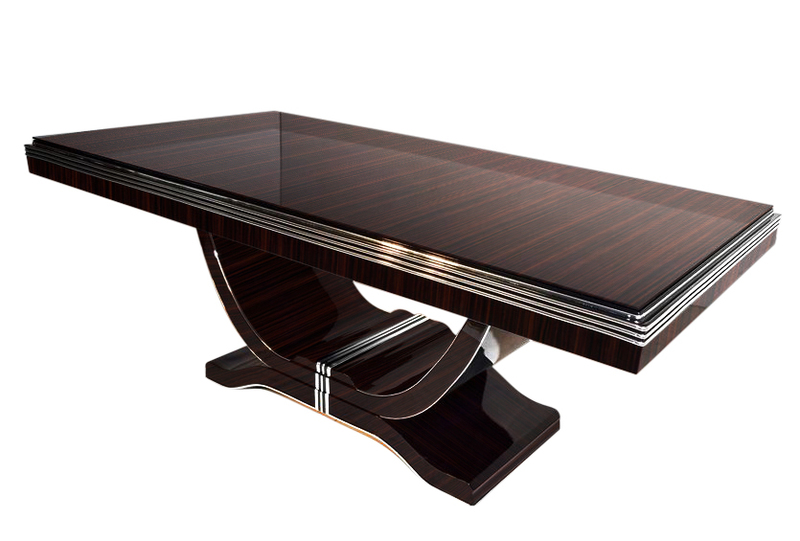 The design gets complemented by fine chrome bars on the tabletop and on the edges of the foot.